Winning entries in the 2018 Henty Natural Fibre Fashion Awards modelled by Shalayla Wheeler, Holbrook, Claudia Grogan, Morven, Sarah Brennan, Henty, Tamara Stewart, The Rock and April Kennedy, Yerong Creek. 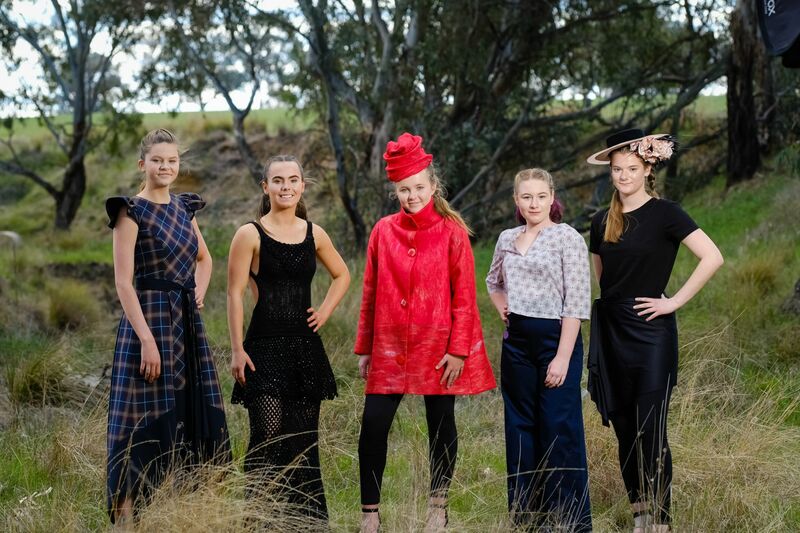 Rural and urban fashion designers and milliners are invited to showcase their talent in this year’s 16th annual Henty Natural Fibre Fashion Awards. 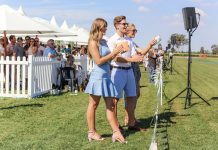 Boasting prizes valued at around $5000, the fashion awards have grown into a prestigious event attracting high profile designers, with the 2019 entries to be paraded in the Country Lifestyle marquee at the Henty Machinery Field Days on September 17-19 at 1pm each day. Awards convenor Lyn Jacobsen said the Natural Fibre Fashion Awards reflect the offerings from the local agricultural industry. “Since the field days are located within a major wool and fibre producing region, it was important an event be carried on to encourage designers to showcase their creativity using the fibres allowed,’’ Mrs Jacobsen said. 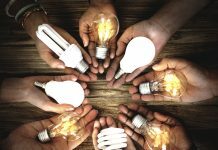 “This competition is free and open to all designers, but the fabric in the garment must be at least 70 per cent natural fibre, which can be wool, cotton, alpaca, silk, linen or combinations. Mrs Jacobsen said interest in the awards had already been received this year. “Early interest from regional TAFE students has been strong for this year’s encouragement award,’’ she said. To be announced on the final day, the winner of the supreme garment made with natural fibres will receive $1000 in prize money plus a Bernina 325 sewing machine valued at $1499, courtesy of Bernina Australia and Sew Fab, Narrandera. The winners of the best knitted or crocheted garment, millinery and accessory will receive $500 each. Bernina Australia and Sew Fab are donating a Bernina L450 overlocker valued at $999 as an encouragement award for the best garment by a student designer. “Designers may supply their own models, however, we do have Year 10 students from Billabong High School who are given modelling tuition leading up to this event,’’ Mrs Jacobsen said.